To coincide with Holocaust Memorial Day we will be displaying a series of portraits of Primo Levi, one of the most important survivor-writers on the Holocaust and a key literary figure of the twentieth century. The iconic photographs were taken by London-based photographer Jillian Edelstein, one year before Levi’s death. 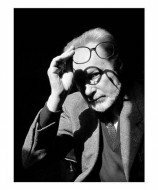 “In 1986 City Limits magazine commissioned me to photograph Primo Levi during his visit to London. I met him at the Durrants Hotel on George Street, Marylebone. I recall him coming towards me in the reception area, tiny in his tweed textured dark suit. He extended his hand and said “buon giorno”; he didn’t speak much English and my Italian was nearly non-existent. We communicated via a mixture of gesticulation and smiles. Jillian Edelstein was born and grew up in Cape Town, South Africa. In 1985 she emigrated to London to study at the London College of Printing. Between 1996 and 2002 she returned to South Africa to document the work of the Truth and Reconciliation Commission. Her award-winning book Truth and Lies was published by Granta in 2002. Her portraits have appeared in many publications including The New Yorker, The New York Times Magazine and Vanity Fair. She has received several awards including the Photographers’ Gallery Portrait Photographer of the Year Award 1990 and the John Kobal Book Award 2003. The Primo Levi portraits will be on display in the Auditorium on the Museum’s ground floor (entry free of charge). 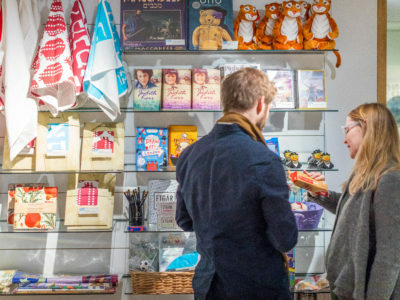 The Auditorium is sometimes occupied with school groups and private events so we recommend that visitors who are planning see this display call the office in advance on 020 7284 7384 to check the space will be open during the time of their visit.